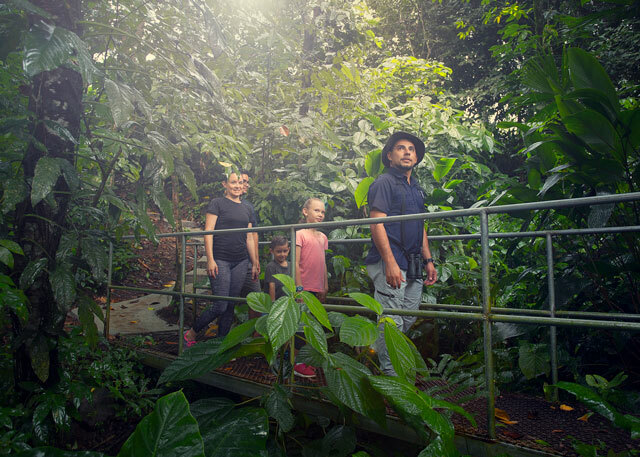 A Costa Rica Family Trip is a dream for everyone. Costa Rica is like a huge adventure park, with volcanoes, wildlife, and fantastic cultural experiences for all ages. Someone said once that the reason we travel is to find the inner child awe in us… Is there a better place to do that than Costa Rica. A place where the whole family goes back to its roots and simply enjoys the fun of being alive, carefree and easy going in the midst of an exuberant nature that says “Yes!” to all of it! Now, in order to really let yourself unplug from stress and get into the experience fully, you must cover all corners that can cause you unneeded anxieties. There are different families, as there are different people in the World. Probably the first question that pops up is: Who is coming in the family trip to Costa Rica? Is it mom, dad, and small children? Or maybe teenagers and children? Maybe the grandparents are the ones organizing the whole trip and three generations are coming, or perhaps it is just you and your kid. 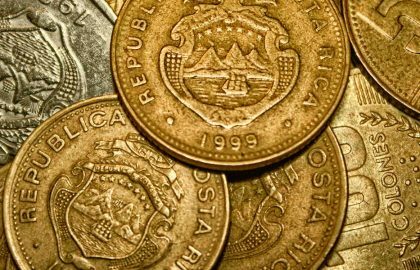 Whatever the case we are analyzing each, with its perks, its downsides, the best places for a family trip in Costa Rica and what is appropriate for the different ages. 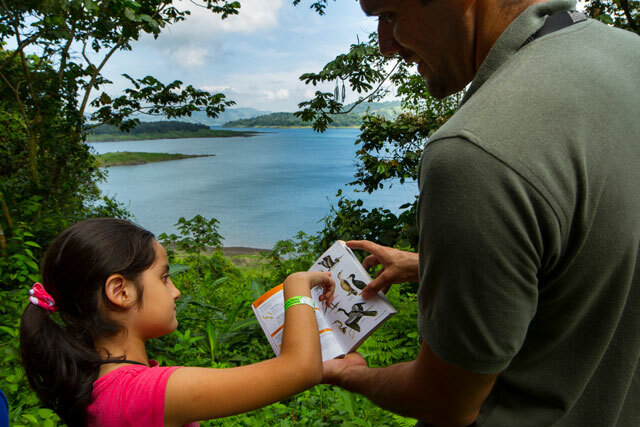 But first is first: What do you want to know about while planning your Costa Rica family trip? The first question, as usual, is: Are you planning this on your own or using a travel agency? And then, again, you may think that we want to sell our services to you, and of course, we do, but that is not the primary reason to tell you: Use a travel agent. A real one, certified, local and with authentic experts that will support you all the way from the planning to the wrapping up. A travel agent, not only will make your life easier, but also will know where are the best places for your kids, the ages limits for the tours, the areas where you can find a pharmacy and will get you an excellent bilingual pediatrician if it comes handy. 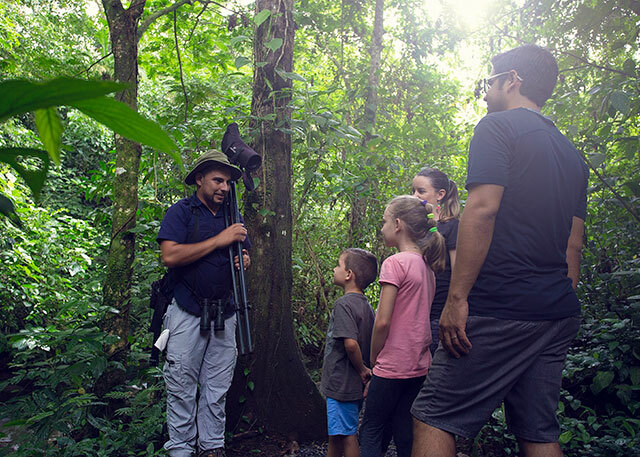 The itinerary for your Costa Rica family vacation must be focused more on the children than in the parents (Mainly because as any parent knows, the vacation can turn into hell for everyone if the routes are too long or too bumpy (Or both! ), if someone in the family get sick when driving on winding roads, or if the destinations you choose cannot give you a special diet, or activities that can entertain your kid. 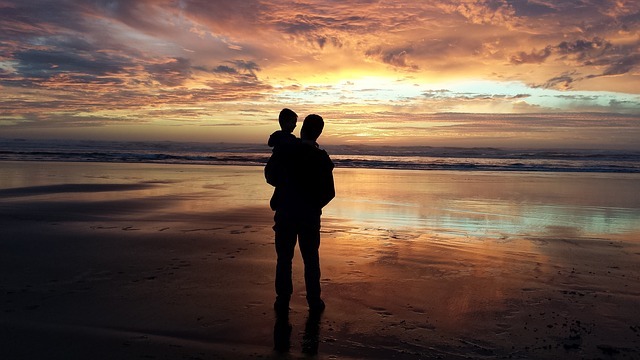 So, where are the best places for a Costa Rica family vacation? 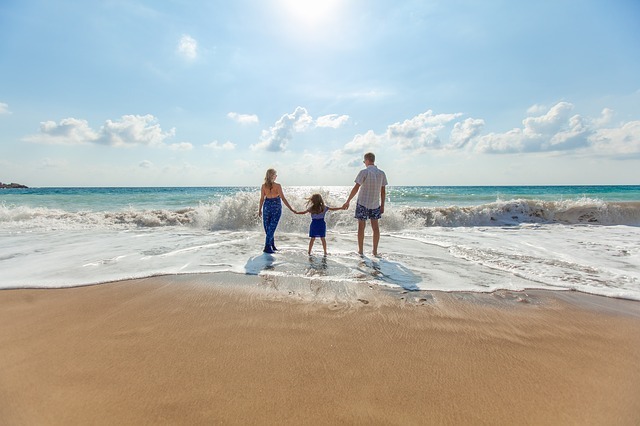 All of Costa Rica is great for a vacation with children or teens, however… Is your family prepared for some of these places? How does your family handle heat, humidity, mosquitoes and unknown food? It is important to find destinations that won’t create conflict just by being there. 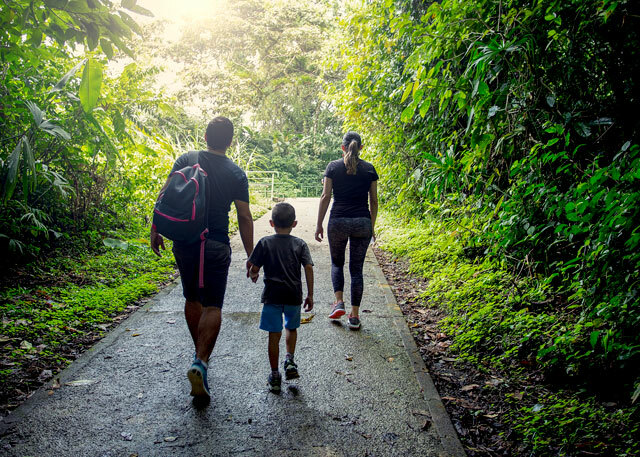 For instance, for a family who is totally used to nature and loves the rainforests and all that they include, repellent and sunscreen will solve some of the issues and that will be enough for the whole family to enjoy. However, if you think that the kids won’t eat the coconut cooked rice and beans (Caribbean style), take them to places and hotels where you can find both: The traditional Costa Rican food and pizza, hamburgers or hot dogs. Probably one of the best ideas to please everyone and have a vacation yourself is to go to an All Inclusive beach resort. These wonderful places where there are tons of food, drinks, ice cream and sodas, great swimming pools and where kids can go for scavenger hunts and other great games. However… yes, some of you reading might already be thinking? Why travel all the way to the adventure and nature hub of the Americas to get locked in a hotel that won’t really let the children know that they are in a foreign country? So, let’s say you are not into an all-inclusive resort… at least not for the whole trip. The sort of places where toucans are easy to spot and monkeys wake you up howling every morning. And then, a beach hotel where to relax on a hammock while the kids are well taken care for and are having fun. 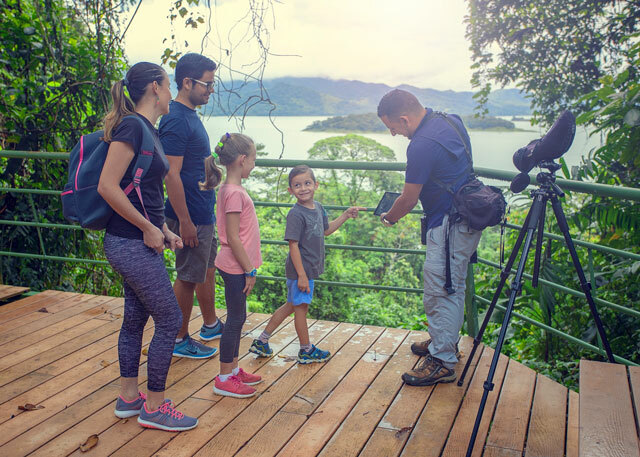 Now… What if your answer to this is: I want the children to see nature, experience watching free wildlife and live great adventures like rafting or ziplining! Then, definitely you should ask your travel agent about the different destinations giving your family characteristics. If the kids are under five yes, indeed! Either you bring your own baby sitter to watch after the children while hiking on a night tour, or rafting on a Class IV amazing river. Or, you can ask your travel agent to get someone for you either for the whole trip or in each of the places. Some of these locations would be: Tortuguero, Corcovado, Dominical, Cahuita, Punta Cocles, Puerto Viejo de Talamanca, Sarapiqui, Rincon de la Vieja, Rio Celeste, Bijagua, Santa Teresa, and Golfo Dulce. 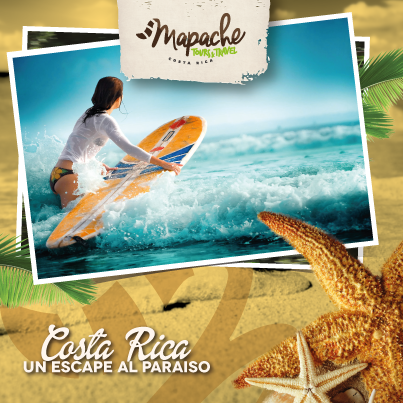 Probably the best to experience Costa Rica, and if your family is into real raw nature, this is it! However, some of the most amazing nature realms of the country are precisely that because they are quite remote. Places where you won’t easily find pizza, hot dogs or burgers in the corner place, and most likely are hot and humid. So, if even though, you think this sort of place is great for your family to see, think about flying throughout the whole trip. Getting to the SJO airport and taking a local flight that will take you to and from (As well as between) these magnificent places will grant you a more intense nature experience and less “Are we there yet” annoyance time. Not a great idea unless you bring a baby sitter with you to watch after them while you are hiking in the forest or kayaking in the canals. For small children the heat can be exhausting, the long driving and boat hours to get to any of them, the mosquitos and humidity will grant that the children will become annoyed and annoying. Oh yes! If they are into nature, they will enjoy it! Very much indeed! Nevertheless, consider flying to these distant locations, not even the most passionate kid will enjoy a trip that can last five hours. Please also remember these are not places to let the children play in the gardens of the lodge without supervision, from ants to snakes, all kids have to be watched after and is much better if they have things to play within the rooms or common areas of the lodges. These would be: Arenal Volcano, Monteverde, Manuel Antonio, Herradura, and some of the Guanacaste beaches like Tamarindo or Papagayo Gulf (With its breathtaking resorts and extraordinary rentals variety). In every single country, you will find the classic places none wants to miss. The Eiffel Tower, the Niagara Falls, or the pyramids. 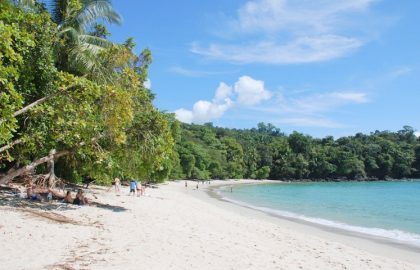 In Costa Rica, these places are a few and very well known and popular to go with children. They all offer great accommodations, fantastic restaurants with great sorts of different options, and are not isolated in almost all cases. Plus, the array of activities is almost infinite in all of them. 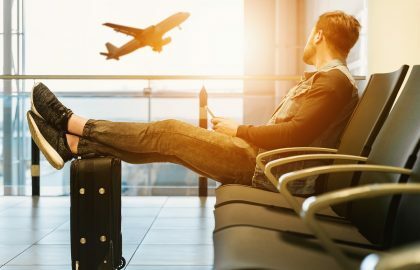 These destinations are great for all ages, and you will find babysitters in the hotels, nightclubs, restaurants, pizza, hamburgers and hot dogs. These areas might not look as adventurous or as immersed in nature as the others, although some of them are. In Costa Rica, conservation is not an idea, is a lifestyle and even in the most touristic of places you will find it all over the place. But of course, you will also find at times, loud music or noisy large groups in bulky and also noisy buses. What about adventure activities, or other possible experiences? Not Recommended for children under 12. No ATV operator will allow a child to drive its own alone anyways. Please acknowledge the areas where there are rip tides or crocodile’s presence. Lifeguards are only present in a few beaches. MTB in Costa Rica can be very challenging as the topography and the weather can be very hostile at times (Either muddy and rainy, or very hot and humid). However, you can also find quite flat gravel roads where you can go through rainforest patches and wildlife sightings. The age limitation resides mainly in the capability of tour operators to provide smaller bikes. All MTB suppliers provide helmets however special shoes, or other gear is not usually given. If you are into MTB, bring your own. Babies: Mind the sun at all times, it can be scorching at certain hours. Never, under any circumstance, leave your child alone on the boat deck. The crew staff are usually super busy and a sudden movement can throw a kid overboard without anyone noticing. Please know that on these boats the use of changing rooms is quite limited, so it is a good idea to bring the kids prepared with their swimsuit under the regular clothes. Depending on the region, but mostly all of these tours also offer banana tours and snorkeling. For snorkeling, don’t let your child go if he or she doesn’t know how to swim. For the banana boat, if your children are going, you go with them. It happens on banana boats that children start moving and jumping and someone may fall and get hurt. Road biking in Costa Rica can be quite risky, for all ages, including you. Unless you are coming on a road bikers’ trip that has a prepared route and front and back cars, we do not recommend it whatsoever. For any ages. 0-7 years old: Not recommended at all. Children will get really bored and the other birdwatchers will be annoyed by the noise and the movement of the kids. 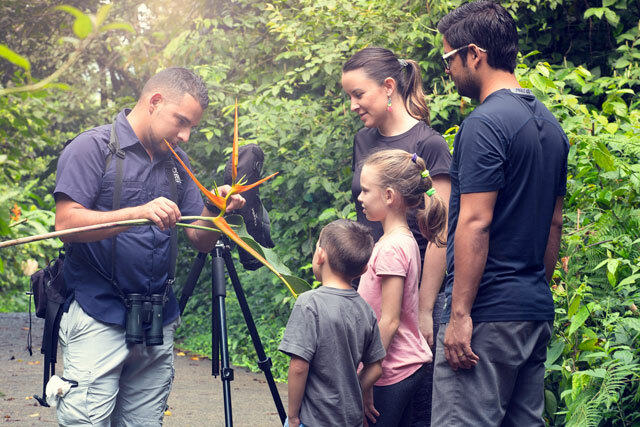 If your family is into birding our recommendation is to hire a private tour guide to take you to an exclusive tour where your children can talk, or laugh or even play without disturbing anyone. It will be a much better experience for the whole family. Of course, they are appropriate for all ages, however for smaller children will be places to run around and play, and for older kids will be just walk-through plants and trees. 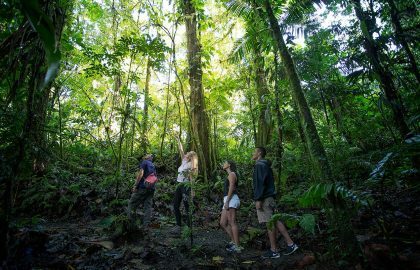 Probably the best way to do Botanical Gardens is, like with the birdwatching tours, hire a private guide that will explain your children about the different relations between plants and trees, and that will allow them controlled hand-on experiences with fruits, flowers, colors, aromas, and tastes. On the patron day towns will celebrate with small amusement parks, food stands, sometimes horse ribbon races or parades and bullfights. Sometimes in these alcohol flows a bit freely and you have to be extra careful with small children. However, for parents willing for their children to experience another culture, this is a priceless chance to live it. Large domes built to create a welcoming environment for hundreds of butterflies in grounds of their preferred fruits and flowers. The feeling is truly amazing as they flutter around you all the time. In most cases, you will be able to experience the whole metamorphosis as they have sections where you can see from the egg to the caterpillar and the hatching of these colorful fantastic creatures. There are very few experiences as nature rewarding as sliding on a flat-water canal on a kayak while discovering the rainforests that cannot be reached by car or even larger boats. However, sometimes for children, it can be strenuous, better to go tandem with an adult for smaller kids. Kids must be able to swim and parents should ask for the kid size vest. It is weight above age where the attention is put on the requirement. However, kids are always “taxied” by a tour guide. As when they are smaller and because of basic physics, they can get stuck in the middle of the line and get obviously terrified. So, no, if they are not heavy enough they always go with a guide. Ask your travel agent if they have children helmets and gear. If kids are interested in farming or even gardening this can be great, but there is a boredom alert here. Diving in Costa Rica is not at all as the Caribbean diving resorts, as the best sites are off shore and quite deep places. You have to have a PADI license. Currents and tumultuous waters are the main reason we don’t endorse diving in Costa Rica for younger divers. It is said that tour guides have to talk in a different way to children than adults when giving explanations, so, the best is to hire a private guide and find if they are good with children. There are guides in Costa Rica that will turn a walk into an Animal Planet+NatGeo great show. However, in larger shared groups, the guide will talk to the adults in the group mainly and for the kids it can be quite boring. This can also turn into dangerous as they will begin wondering and touching things and you don’t want your kid to do that in the jungle. There are several trails in the most known areas that are paved and very easy to walk on, however some of them can be quite steep and there might also be a lot of stairs. So, if they are not used to hiking at home, our recco is to ask first about the length and difficulty rate of the activity. And if you are in one of the hot and humid areas, try to go before 9 am or after 3 pm. If the kids are not used to horses we would recommend not going at all. However, if they are used to it, or the company allows them to go with a guide or you (If you have some experience) it would be all right. Naegleria fowleri, known also as the “brain-eating amoeba” survives in fresh warm water. It causes prime amoebic meningoencephalitis by incoming the nose, it is a quite common disease in the hot springs everywhere in the World, US included. So, make sure they do not dunk, or dunk their younger brother or sister. Other than that… They will love it! Museums in San Jose are mostly of Pre Columbian-art in gold jade and ceramics, local contemporary art, insects, philatelic, railway, and printing. 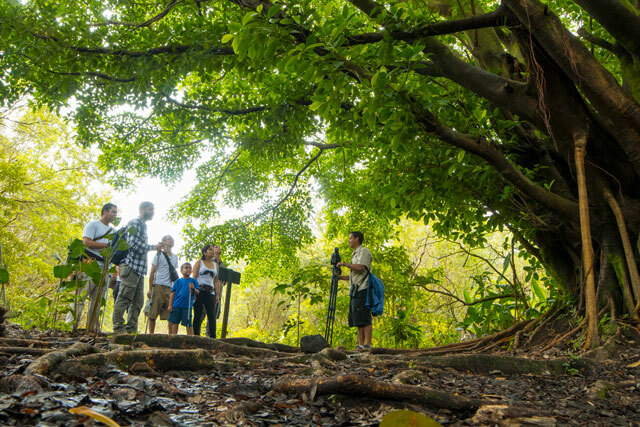 However, just like for a rainforest walk, our recommendation is to have a great tour guide that will make it fun. There might be a boredom alert regarding the historical and art museums. The Jade Museum however it’s pretty interactive and children love it. Special Mention to the Children museum in San Jose. All ages will enjoy that! 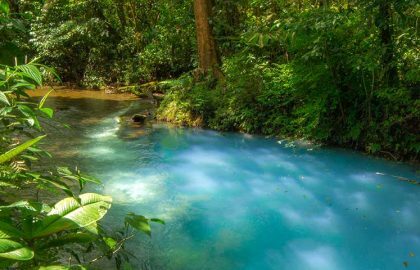 The watercourses are like roads to the deepest parts of the rainforest and you are likely to see more wildlife from the water than from a trail. It abounds in Costa Rica, from Class I and II (That are fantastic for smaller children as you get to see a lot of wildlife usually) to Class IV+ for young -and not so young- adults. It really depends on the river and the time of year; however, the rafts get spread and it is better if the kids are older in order to enjoy the ride. 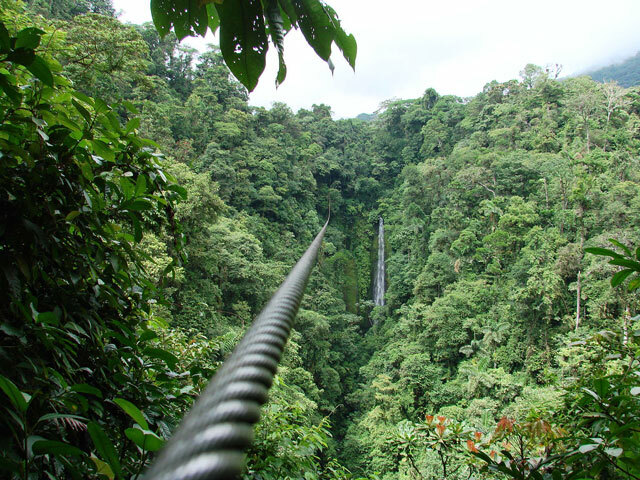 You can find them in several areas of Costa Rica, and most of them are rappelling down waterfalls or river canyons. If the kids are too light, they will be doing it with a guide that does all the work. They are like museums where the animals are usually shown in special terrariums. The best places for kids to start learning are Manuel Antonio, Tamarindo, Santa Teresa and Samara. It is easier for older children as sometimes you have to walk or wait for hours to get a turtle hatching sight. And sometimes the tours can extend to 1 or 2 a.m.
Another activity where waiting can be in order, sitting on a small boat for a couple of hours. And sometimes you don’t see any. But if you do! What a memory! A zoo-like environment, the rescue centers will give you chances to see the animals up close and personal and work fixing their food or cleaning cages or making toys for the monkeys. It is a great experience for anyone who likes wildlife! 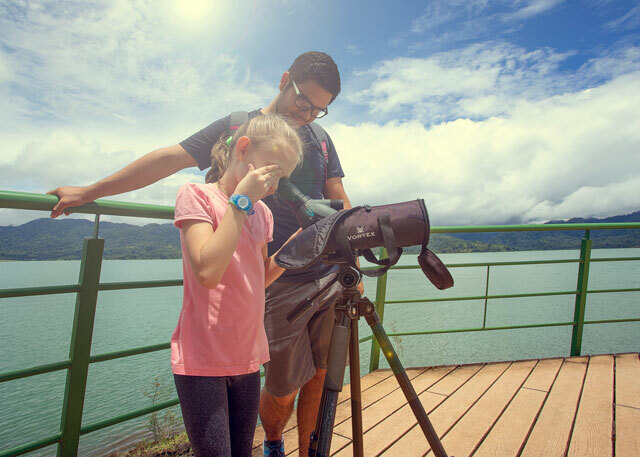 Costa Rica is the perfect experience for the whole family, it has an extraordinary variety of possibilities from breathtaking wildlife sightings, to fantastic fun adventures to delicious leisure spaces. Every member of the family gets to have the best of a vacation! 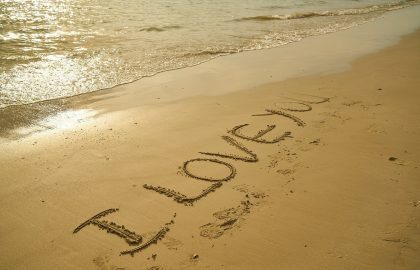 And you will find in Costa Rica, a time that will leave great memories for all.